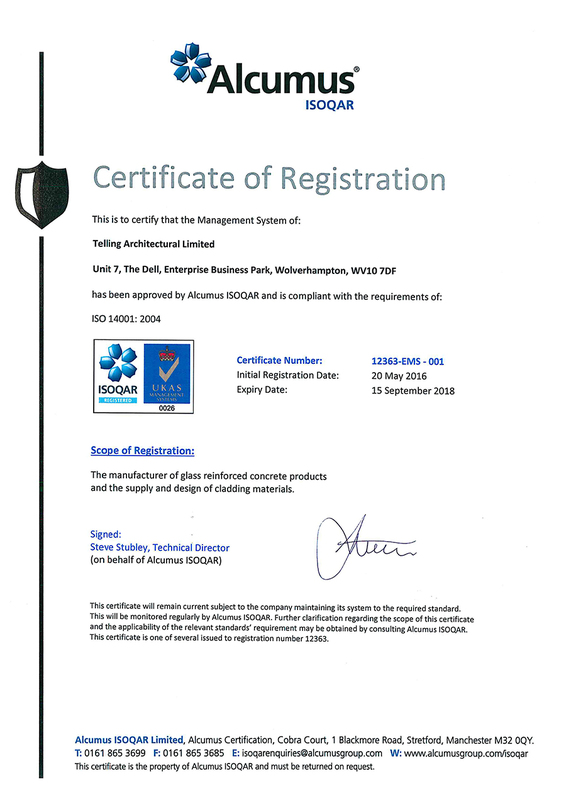 Telling Architectural is proud to announce that it has gained ISO 14001 certification upon its manufacturing plant and management systems at Four Ashes in the West Midlands. The ISO 14001 environmental management system is described as a: “systematic and process driven approach to controlling aspects of your business that have a significant impact on the environment”. It is also designed to make business owners “more aware” of their environmental responsibilities – such as legal and regulatory accountabilities – help them to manage and control the associated risks and reduce their waste and consumption.